Now that you have arrived in Athens, how do you enjoy all that the ancient city has to offer on a budget? It might be easier than you think. Let’s go over some of the key elements to experiencing the wonders of Athens for only €10 a day. One of the first things you need to do is be sure to book yourself in a hotel in or near the city center somewhere around Syntagma Square is ideal. 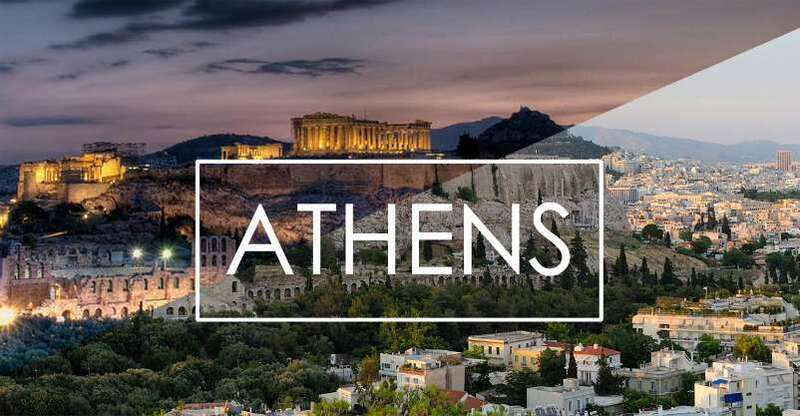 This is a vital step to saving money while in Athens because you will find yourself right in the middle of where the action is meaning you won’t need to worry about transportation or other costs you can just walk to the sights. Everywhere you turn in Athens you will find “fournos” or bakeries. There are many to choose from around the city center, particularly, in Monastiraki you will find some of the best fournos serving up all sorts of Greek pastries both sweet and salty. Going to a forno for breakfast is are a popular choice for Athenians who like to grab a warm pie stuffed with cheese or spinach, called “tiropita” and “spanakopita” as they are a low-cost and delicious. You will find that you only need to spend a couple of euros on these breakfast treats and many places also offer a coffee for an extra euro. You can opt to eat at the forno if they have seating (sometimes there is not a sit-down area), or you can head to a quiet square down the winding, narrow roads of Monastiraki and enjoy the sights and sounds of the old town. What is there to do in Athens that is free? One great way to get to know the city is to join a free walking tour. Your guide will show you all of the not-to-miss cultural parts of both modern and ancient Athens in a 2-2.5 hour tour in English — for free! For more information check out the tour here. Also, be sure to book in advance — it’s free, so places are always limited. You can also check out the Acropolis by taking a walk on the cobblestone path that winds around the foot of the hill. This is a great opportunity for some unforgettable selfies and to admire the ancient ruins of Athens. An enjoyable way to pass the afternoon in Athens is to grab a souvlaki from one of many places selling gyros and head to Zappeion Park in the middle of the city. This green oasis provides a break from the hustle and bustle of the city as well as the perfect setting for a picnic! Another not-to-miss free thing to do in Athens is watching the changing of the guards outside of the Greek Parliament building. These famous guards know as “Evzones” are always dressed in traditional clothing and the changing of the guard ceremony is hourly. A perfect way to end the day is by visiting Filopappos Hill which over looks the city and sea. You can always grab a coffee before hiking up the short trail to sit on ancient rocks and watch the sunset. Or if its summertime, grab an ice-cream beforehand for a couple of euros, hike up the hill and enjoy the view!